Shel Winkley was more of a skeptic about global warming and climate change five years ago than today. Winkley, the 32-year-old chief meteorologist at KBTX television in Bryan-College Station, said forecasting the weather every day makes it easier to see that the climate is changing. 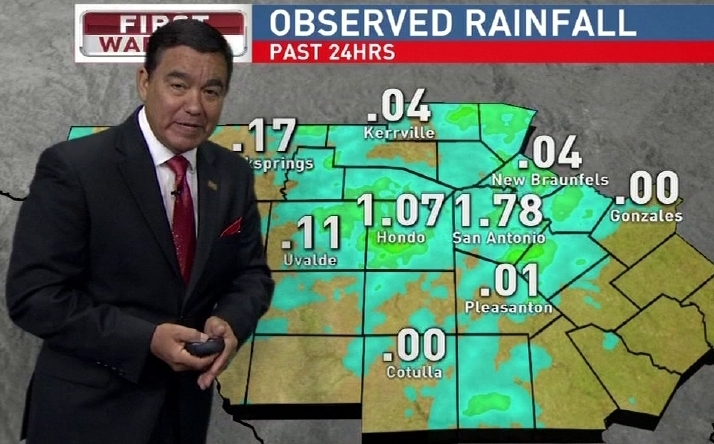 Alex Garcia, 68, chief meteorologist at the KABB television station in San Antonio spotted warming trends as far back as 30 years ago. Many broadcast meteorologists were once openly doubtful that humans are causing climate change. But their views on that subject are evolving and so is the way they teach the public about climate science in their forecasts. It is an intimate and trusting connection. Who else do you invite into your house every morning and night while you may not even be dressed for the day? Academic researchers and the meteorological community have tracked television weather forecasters’ views on climate change through studies that date from 2001 and more recently, through annual surveys. The most recent survey, published in the Bulletin of the American Meteorological Society last October, shows skepticism among meteorologists continuing to decline and an increasing acceptance of human-caused climate change. More than 90 percent of weathercasters in the survey recognized that climate change is happening and about 80 percent recognized human-caused climate change is happening. Slightly more than half say the climate changed in their communities over the last half-century, citing fluctuations in average temperature, heat waves, intensity of rainfall, total precipitation and length of the frost-free season, according to the survey. About half have noted harmful local impacts on water resources and agriculture and one-third have seen such impacts on human health. Nearly 60 percent are somewhat interested in reporting on air about possible impacts of climate change and most believe their viewers are at least slightly interested in learning about the local impacts of global climate change. Many television meteorologists discuss climate change on social media, station websites, blogs, at school visits and in talks to civic and community groups. “The public’s only daily connection to a scientist is usually their broadcast meteorologist,” said Garcia, who produces in-depth YouTube videos called Beyond the Forecast. 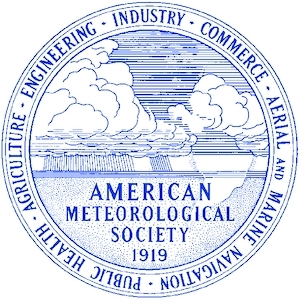 The American Meteorological Society, the national professional organization, supports the majority views of its members on climate change. Climate Central, an independent nonprofit organization of scientists and journalists researching and reporting on climate change and its impact on the public, helps television meteorologists improve their presentations through its Climate Matters program. 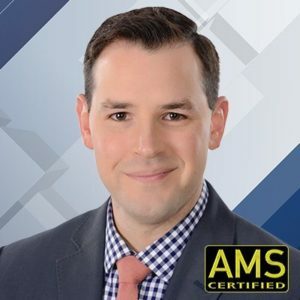 “We work with broadcast meteorologists to help them make the weather and climate connection,” said Sean Sublette, a meteorologist with Climate Matters. Winkley and Garcia use Climate Matters for both research and on-air graphics. After last year’s February seemed like the warmest ever, Winkley asked Climate Matters to review the last 50 Februarys. Garcia noticed that recent winter cold spells in the San Antonio area seemed to last only a few days instead of a couple of weeks and he asked Climate Matters to dig into the temperature records. “They take data and they provide data,” Garcia said. The graphics and maps made for television really do help to tell the climate-change story, he said. In 2016, at the American Meteorological Society’s 44th Conference on Broadcast Meteorology, Garcia moderated a panel on how broadcast meteorologists can convey the science and impacts of climate change. It is difficult to describe a cause-and-effect relationship between climate change and a single significant weather event like the great storm Hurricane Harvey, last August’s deluge on the Texas coast, the meteorologists say. “Is Harvey the new normal? You can’t judge it off one storm, but just look around the world at what is happening,” said Winkley. From San Antonio to North Carolina, weather forecasters talk about the amount of moisture in the air and the above-average warmth of the Caribbean Sea that provides additional fuel to the recent storms. Studying and conveying climate science seems to have brought a much broader understanding of what goes into the local weather forecast. Both Garcia and Winkley believe that Millennials and folks who are younger are more receptive to science in a forecast and learning about the impacts of climate change. Garcia, a former elementary school educator who now teaches college courses, said young people are eager to learn. “They are ready. They want information,” he said. Convinced and unconvinced about climate change is the way Keith Seitter, executive director of the American Meteorological Society, framed the debate to his organization’s members eight years ago. Those days of walking the tightrope are over in the group, whose members include many broadcast meteorologists along with researchers, educators, weather-forecasting enthusiasts and others. In a Jan. 30 letter to President Trump regarding comments he made belittling climate change in a televised interview two days earlier, Seitter took the president to task for ignoring scientific conclusions from his own executive branch agencies, like the National Oceanic and Atmospheric Administration and NASA, and from university researchers. “Unfortunately, these and other climate-related comments [by Trump] in the interview are not consistent with scientific observations from around the globe, nor with scientific conclusions based on these observations,” he wrote. There is “credible and scientifically validated information” available to help navigate the difficult policy areas impacted by Earth’s changing climate, Seitter told the president. Seitter said he continues to be frustrated by people who attack the science of climate change rather than seek solutions. He is also concerned about the Trump administration’s 2019 budget request that cuts funding for a NASA space observatory and a handful of Earth-science projects. Funding for some satellites and specialized instruments on orbiting observatories would be cut in the proposed budget. “If you are trying to figure out what is going on [about climate change] and you take away your eyes, you can’t make progress,” Seitter said. Some of these observational platforms also help to predict freezing rain and weather forecasts, he said. Neil Strassman, an independent journalist in the Dallas-Fort Worth area, is a Texas Climate News contributing editor. Among his past positions in newspaper journalism, broadcasting and local government, he worked for 20 years as an environment, science and political reporter at the Long Beach (California) Press-Telegram and Fort Worth Star-Telegram. Image credits: Alex Garcia photo – KABB Fox News 29; Shel Winkley photo – Shel Winkley / Twitter; American Meteorological Society seal – American Meteorological Society.